Chronic kidney disease is defined as an abnormality of kidney structure or function that persists for more than three months. It is prevalent, affecting 10.4% of men and 11.8% of women, worldwide. Chronic kidney disease can progress such that between 5.3 and 10.5 million people need kidney replacement therapy in the form of dialysis or transplantation. Although there are many who do not receive these treatments due to lack of resource or financial barriers. The number of patients affected is growing. The unadjusted incidence rate of renal replacement therapy among all countries represented in the European Renal Registry was 121 per million in 2016 - compared to 117 per million population five years previously in 2011. This is largely explained by the significant rise in the previous decade by the number of people who suffer from diabetes and hypertension, conditions which can lead to chronic kidney disease. Approximately 425 million adults (20-79 years of age) were living with diabetes in 2017, and this figure will rise further to 629 million by 2045, according to the International Diabetes Federation. The number of people affected by high blood pressure has increased from 594 million in 1975 to over 1.1 billion in 2015. Diabetes and hypertension are the two most common causes of kidney failure requiring dialysis: one in three patients on dialysis need renal replacement secondary to diabetes. In many instances, the development of diabetes and hypertension is avoidable. "Against the background of ever-increasing numbers of patients with diabetes and hypertension, there is cause for concern that the incidence of chronic kidney disease, too, will continue to rise", explains ERA-EDTA President Professor Carmine Zoccali. "We are worried that we are only seeing the tip of the iceberg right now. This is why ERA-EDTA has decided to build awareness through education and to provide material to aid prevention." It is not only the dramatic rise in incidence which is of concern but also the significant risk of ill health and death associated with chronic kidney disease. "Even, if many patients with impaired kidney function do not feel ill over a long period of time, they are at a particularly high risk of many other health outcomes, especially dangerous cardiac complications." A recently published study showed that renal patients are very complex patients - they have more comorbidities and the highest risk of mortality, when compared to patients managed by other specialties including of infectious disease specialists, pulmonologists, hematologists, rheumatologists, gastroenterologists, cardiologists, endocrinologists, and family physicians. "This means we have the most vulnerable patients, and the incidence of chronic kidney disease is increasing still further. This is why we have to raise our voices and take action now", explains Professor Zoccali. 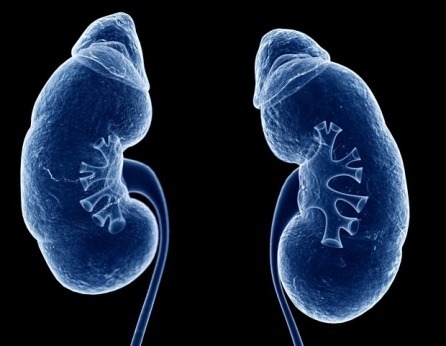 "Prevention of chronic kidney disease must become a general topic in public discourse."